The global market sometimes overreacts some changes, and this already happened this year. What is more, there is nothing new under the sun in many aspects: everything that happened so far was expected for a long time. We ourselves also stated that the year starts cloudy, but the things that happened are not really new. The price of the oil and other commodities are falling for a while, and a turnaround is likely. The fall of Chinese stock exchange is also here for a while now. Still, all these things could have influenced the members of the American Association of Individual Investors (AAII). As their new survey stated, the ratio of the pessimists among the members are on a yearly high. In the meanwhile, a regular survey from the Bank of America stated that investment companies keep 5.4% of their portfolios in cash, which is a 43 months high. The reason might be the same: people are not trusting stocks and other funds that much right now. On the other hand, the uptrend started in 2009 is still intact regarding the S&P 500 Index, although there is some change in the sentiment. If we look at the performance of the index in the last half (or maybe one) year, we can see a longer correction instead of a sharp fall. But this still leads us to one conclusion: the markets are rising, but sometimes there are smaller bubbles and drops. Business Insider also stated the same. 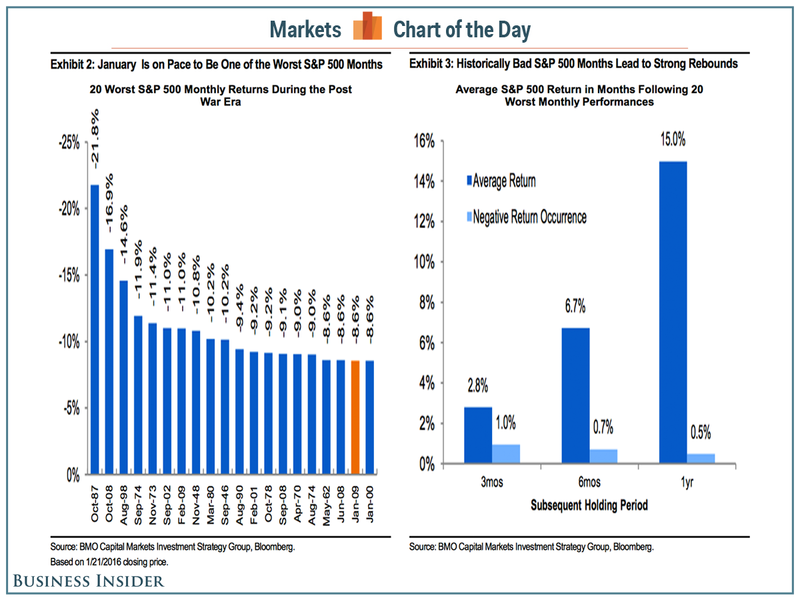 "[W]e examined S&P 500 performance following its 20 worst months during the post war era and found that, on average, performance tends to snap back rather sharply following such poor months," told them BMO Capital's Brian Belski. This is why it is a great idea to invest in periods like this. Of course, there is a chance of further weakening of the markets, but generally speaking, a rise is most likely, and the main rule of investment is to buy low, sell high. Although to stay safe, it is always important not to forget proper diversification and to think in long-term investments, since with these techniques there is a better chance of earning with our savings. Disclaimer: This analysis is for general information and is not a recommendation to sell or buy any security. 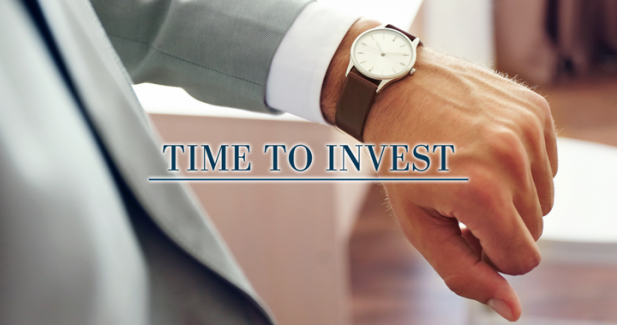 Since every investment holds some risk, our main business policy is based on diversification to minimize threats and maximize profits. This is important when considering any investment.